Dreamcatcher is a haven to many animals, some of whom were once homeless and hurting. These animals have found healing and a forever home at Dreamcatcher and now dedicate their days to helping the people who come to Dreamcatcher. Each one of them has a story and special skills which make them excellent co-counselors in Animal-Assisted Therapy and Equine Facilitated Counselling. Together both animals and humans find hope and healing by learning to be themselves - no strings attached. These critters are our co-counselors and our friends. All of the Dreamcatcher animals have been specially chosen, screened and trained for the work that they do. They are an essential part of the Animal and Nature-Assisted Therapy program at Dreamcatcher. Echo's bios will be updated soon! Rain is a purebred paint mare that has only half an ear. She was born in the midst of winter and was not found until her ears had already sustained terrible frostbite. Her legs had also frozen and as a result, her growth is stunted and she will likely suffer arthritis throughout her lifetime. Upon finding the half frozen new filly, the farmer and his family took her inside and raised her in their basement until she was strong and healthy enough to live outside in spring. Rain was loved and spoiled by the children who cared for her. Once placed with other horses, Rain had trouble fitting in due to her lack of ears. All of the horses she met thought that Rain was angry or bossy all the time (as horses who are angry or bossy, lay their ears flat back on their head). The family decided Rain needed another home. A kind lady named Cindy met Rain by chance and decided to take her home. Cindy tried to integrate Rain into her herd of horses. The horses rejected her and were unkind to her. As Rain was only a year old, and a kind soul by nature, she had no defense. Rain was misunderstood by all the horses she encountered. 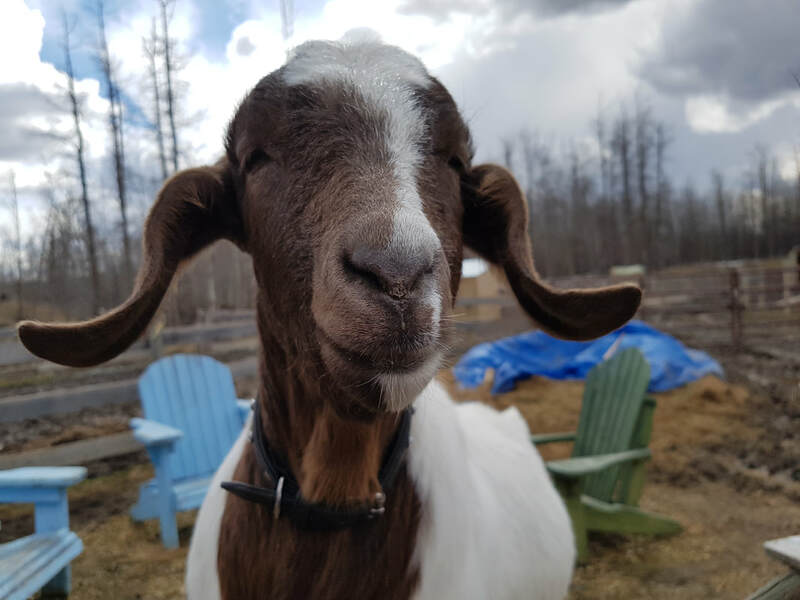 Shortly thereafter, Cindy heard about Dreamcatcher and donated "No Ears" to the program along with a llama named Mr. Spitzie whom she had also rescued. We renamed No Ears with Whispering Rain and introduced her to some children with disabilities who have loved her with all their hearts. When Rain came to Dreamcatcher she was the first horse on the property. This was to her advantage as all new horses who arrived seemed to accept her more readily just for who she was. was "raised" by humans, rather than a horse mom, she is very people oriented but also has a few quirks. Rain is very loving, gentle and loyal. She is a solid horse and can handle the excited fast movements of children without blinking an eye. She loves head hugs and getting yummy treats. Rain's therapeutic specialty is in teaching tolerance, patience and boundaries. She loves with all her heart and never discriminates. She steals people's hearts because she never gives up no matter how much she has been through. She is a lot like many of the people she helps and is truly cut out for this work. Moonshine's bios will be updated soon! Daisy and Ceilidh's bio will be updated soon! Pedro's bio will be updated soon! Teddy's bio will be updated soon!